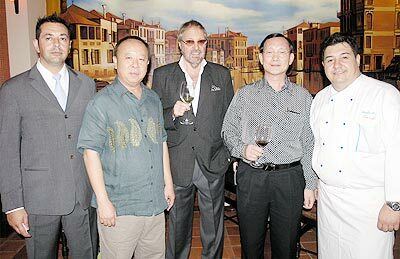 (Left-right): Giovanni Albano, Dusit Thammarks, Kit Marshal, Triphong Kohengkul and Chef Angelo Rottoli attend the opening celebrations of Beccofino Restaurant on Nimmanhaemindha Soi 7. 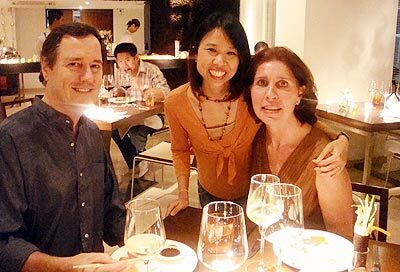 Henry, Danaya and Lori enjoy dinner at dusit D2’s Moxie Restaurant. Silaphob Charoenkusol, owner of Perfect Dry Cleaning, with Dr. Chartchai Pookayaporn, Dr. Ratsanree Dangsuwan, and Niwat Silisarn, at the opening of Perfect Dry Cleaning on Carrefour the business park. 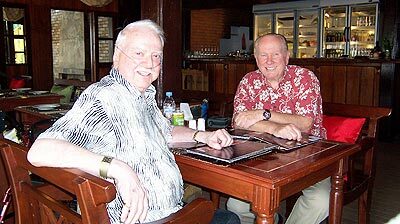 Bud Velat joins George Scudder for a meal at Farang Restaurant on the Canal Road. 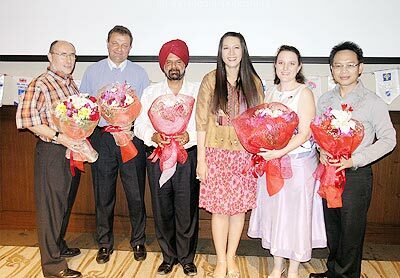 Skål International Chiang Mai and Northern Thailand birthday celebrations for David, Mark, Frank, Lamorna and Sumrit, pictured here with Madam President Anchalee at the Favola Restaurant. 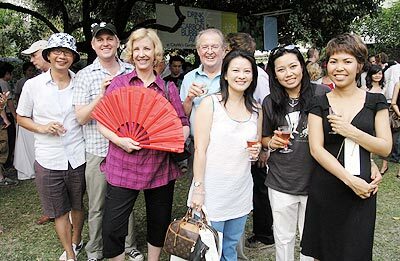 Fun and games at the Garden Party, which raised over 90,000 baht for local charities. Klaus B, Klaus Sch., Narin and Jens have a night out at the St Germain des Pres Rooftop Bar. 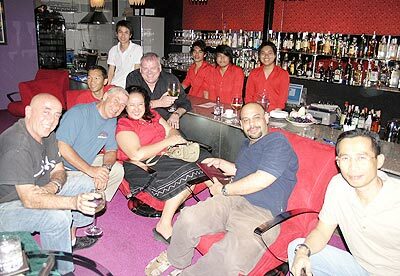 Revellers enjoy some late night partying at the Glass Onion off Nimmanhaemindha Road. 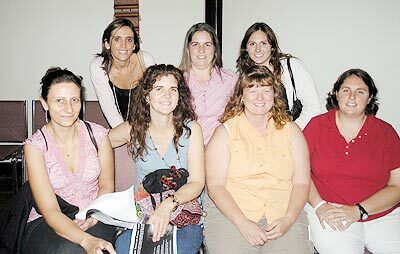 Members of the audience at the AUA theatre have time for a photo before the recent performance of “That Takes Ovaries”. 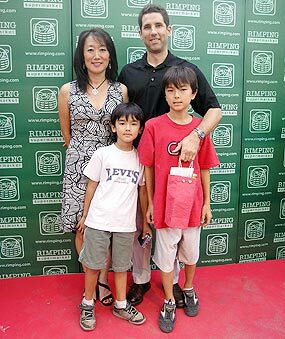 US Consul General Michael Morrow with his wife Shannon and their sons Brett (left) and Sean (right) at the recent Rimping in the Park fair. 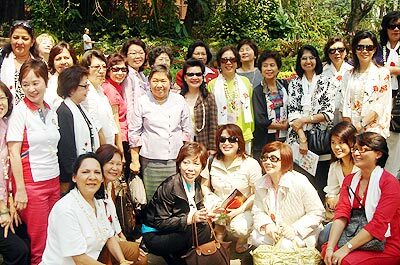 The Inner Wheel Club of Kuala Lumpur District 330, distribute bags of goodies at JJ Markets under the Education Children Fund Development Programme.